I've got a big box full of beads, chains and tools. 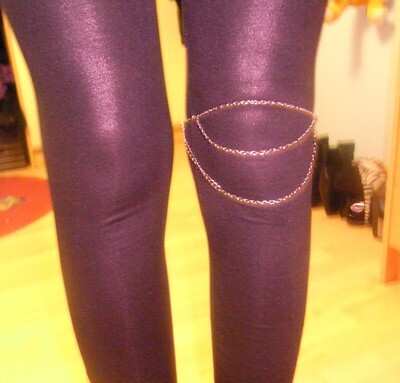 So when i was looking through it today, i saw my chains and figured i could make a knee-piece. Snyggt, att man inte tänkt på sånt själv, hihi.